If I had the time, the talent, and the contacts, I’d start a TV or YouTube show called “This Old Guitar.” To those of us who look at life as sort of a Dickens novel happening on the fly, some of these instruments have a story to tell. Here’s one for you. What a beauty. In its original Lifton hardshell case, my 1940 Epiphone Zephyr archtop. A wonderful neighbor of mine (Thanks, Joe!) rescued this fine old Zephyr from the trash of another neighbor. I shudder to think if he hadn’t . . . Joe is an ace guitar picker and singer, and knew what he had found. Joe kept it for a year, repairing the old Lifton hardshell case and putting the guitar in better shape. 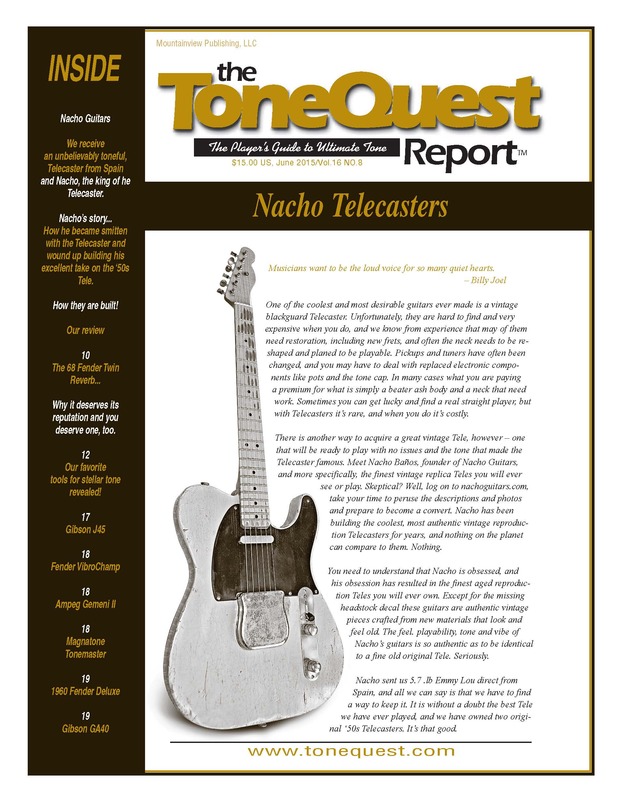 He added a Bigsby tailpiece, made some replacement surrounds for the tone and volume controls, replaced the control knobs with vintage-correct ones, and so on. Joe is skilled, and puts it to good use! Note the pickups: The bridge is a 1940s Epiphone New York Tone Spectrum single-coil and the neck is a surface-mount CC Rider made for me by Pete Biltof of Vintage Vibe Guitars. These guitars didn’t come with a neck pickup, but I had my brilliant buddy Bob Shade install this one and a pickup switch, too. Joe added the Bigsby but saved the original tailpiece. I saved the vintage mermaid decal Joe added; it really enhances the look of the guitar. In time, Joe realized he wasn’t playing the instrument as much as some of his others, and passed the guitar to me at a most reasonable price. The brilliant and dapper Charlie Christian with Benny Goodman, circa 1939, Check out that very early neck pickup. Christian turned the guitar from a rhythm to a a lead band instrument. Electricity! Question: Is Mr. Christian making a C chord in this photo in reference to his initials? Who knows? His guitar is a 1936 Gibson ES-150, which cost about the same as my Epiphone back then; with amp, case, and cord: $150; hence the name. The ES stood for Electric Spanish. The Charlie Christian pickup was a massive thing with most of it under the guitar’s top when installed. Those cobalt magnets made a low-powered but smooth and musical sound. Lennon had one installed on his Les Paul Junior post-Beatles. I found this vintage Epiphone New York Tone Spectrum pickup on the Web. It looks like a mini-humbucker, but those weren’t invented until many years later. Gypsy-jazz wizard Django Reinhardt also played with Benny Goodman’s band. Here he’s shown playing a 1940 Zephyr made a few months before mine, based on the serial numbers. Same exact model! Gibson was famous for their beautiful sunburst finishes, so Epiphone’s line had blonde archtops in the late 1930s. They also made their guitars 3/16″ wider than a comparable-model Gibson. Very competitive! Les Paul hung out at Epiphone’s NYC factory, and cut up a Zephyr to make his 4″ by 4″ log solidbody prototype look more like a real guitar. I’ve read that Les Paul fiddled with this guitar for years. When my son and I went to see it at the Smithsonian, I was surprised to see he had replaced the original Epiphone neck with a fancy Gibson one! Enough trivia! Time for photos of this lovely guitar. How do you like that finish? No Botox on this 77-year-old beauty! Those original tuners are snazzy, aren’t they? Still work great, too. Those are real mother-of-pearl inlays on the Brazilian rosewood fretboard. Love the art-decoish sealed tuners on this guitar, with the Epiphone curved-E design element. I guess the knobs are Bakelite, as plastics were not all that common in 1940. Joe recreated that aluminum plate, which covers Epiphone’s processes for laminating wood. Looks perfect. At that time, tone-wood lamination (not to be confused with plywood) was an expensive and gee-whiz factor in making guitars. I’ve read that one reason Gibson bought Epiphone was to get hold of that process, as well as to eliminate a worrisome competitor. Cool bridge. Joe, the finder and prior owner, made the black surround under the bridge pickup. Looks great. Joe’s a talented graphic designer by trade, and he has a super design sense. So that’s the illustrated story of this old guitar. It plays easy and sounds sweet. I feel privileged to own it and love the history behind it. I was listening to a friend, a couple of years older than I am, and he was describing how few the distractions were when we were kids. In the United States, particularly in the rural South, there just wasn’t a lot going on. If you lived in a remote Southern town, as I usually did, there was often no television because the broadcast stations were too far away for you to get a decent signal. Telephones, if available, were usually party lines, because private lines were pricey, if available at all. Long-distance phone calls were placed through an operator, not directly dialed, and were expensive. So a young kid had time to kill. We’d read a lot. If we had neighbors nearby with kids our age, we’d get together and have little adventures. If you loved to draw, as I did, you’d spend plenty of time doing that. One summer, in East Texas, I’d save up my allowance to walk a mile or so on the dirt road to the nearest general store. I’d saved up my allowance so I had 50 cents to spend. That meant I could buy five funny books. That store, like most of that type back then, was a weathered wooden building set on cement blocks, and carried everything one could want, from a gallon of porch paint to a $4 pocket watch. Only grownups wear shoes in the summer. 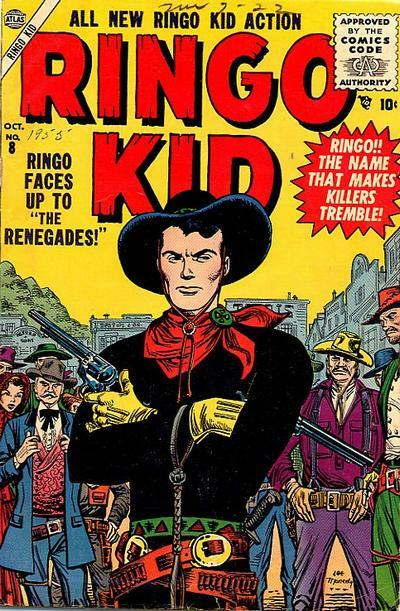 I’d spend an hour or so checking the spinner rack for what comic books I absolutely had to have. 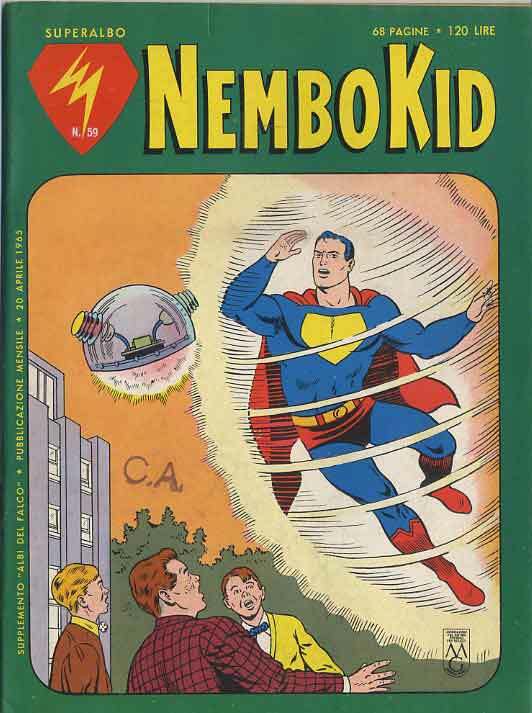 If I had 50 cents, I’d be able to buy five comics. So I chose wisely. Usually, I’d buy four comics and two candy bars. I’d eat one of the candy bars sitting on the front porch of the store before walking home. Then I’d only have to share one of them with my little brother. After all, I had done all the walking and spent my own money. So Jeffrey would have to be content with half a Payday or Butterfinger. 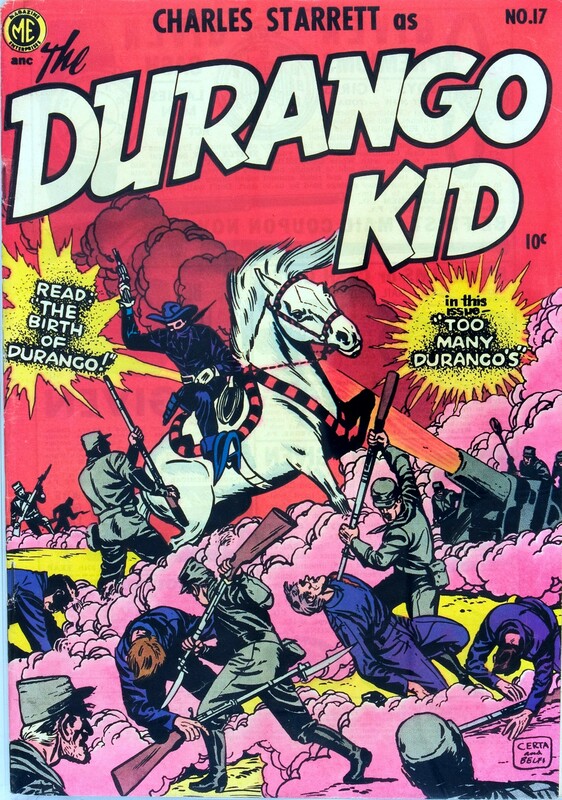 Then I’d wander home and spend the next few days reading those comics over and over. Nothing to really distract me. If I saw a picture in one that captured my eye, I’d spend a couple of hours trying to draw it; seeing what it was that made that image special and compelling. 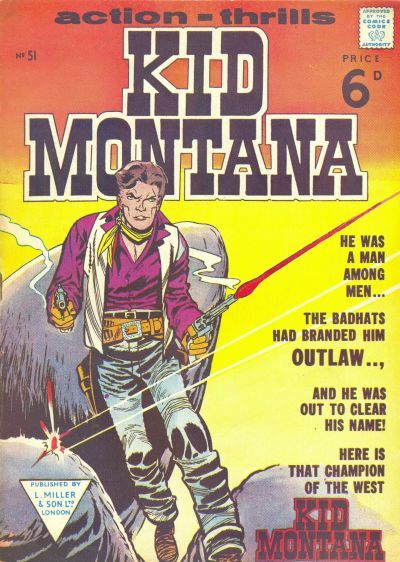 I remember buying this and reading it over and over until the covers fell off. Summer, 1961. I still have what’s left of it. We lived at the intersection of the Sabine River and the Intercoastal Waterway that summer, so I’d play around in or near those if my mom wasn’t looking. I’d try to catch fiddler crabs. I’d be on the lookout for snakes, who were surely on the lookout for me. I’d chase my dog around and then she’d chase me around. I’d make lists of all the birds I saw. Sometimes my brother and I would make a tepee out of sticks and a blanket and we’d spend the night on the front lawn. Trying to learn to play a harmonica was kind of fun, but also frustrating. 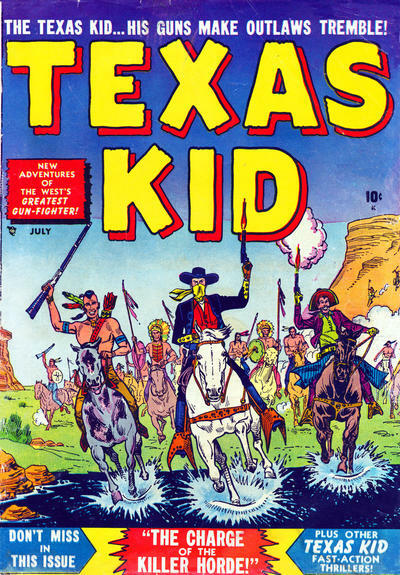 It wasn’t all comic books. These and Doctor Dolittle were my favorites. 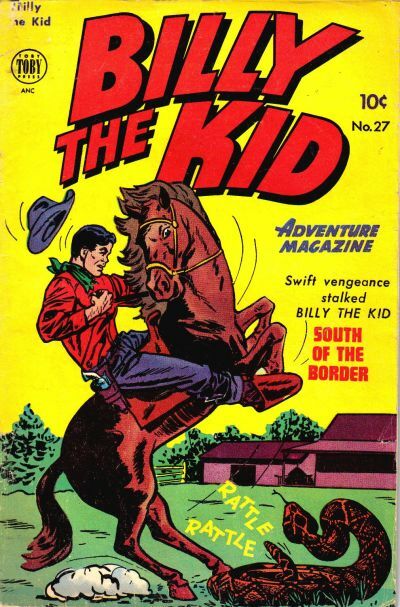 The Hardy Boys and Tom Swift Junior came later. All this is in the way of an apology for not posting anything new for such a long time. I get caught up doing other things. I get distracted by the day-to-day that I’m involved in. I love the new technology and wouldn’t give it up, but I’m going to try to find more time to just kick back and mull things over in a leisurely way. There’s good in that. 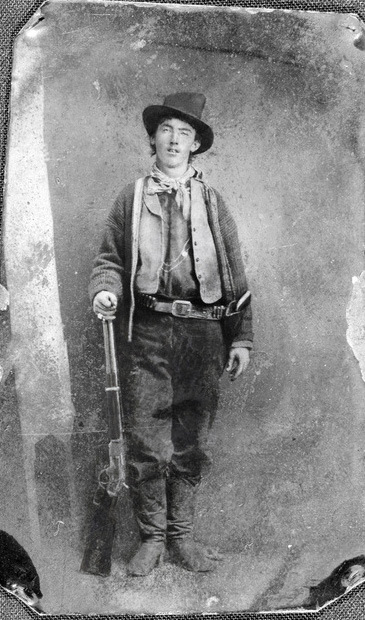 William H. Bonney (born William Henry McCarty, Jr. c.1859-1861 – July 14, 1881), also known as William Antrim and Kid Antrim, was a 19th-century gunman who participated in the Lincoln County War in New Mexico and became a frontier outlaw in the American West. According to legend, he killed twenty-one men, but it is generally believed he only killed eight. 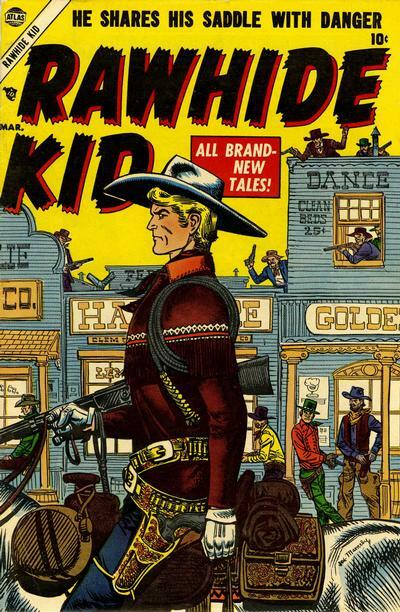 He killed his first man on August 17, 1877, at around 17 years of age. 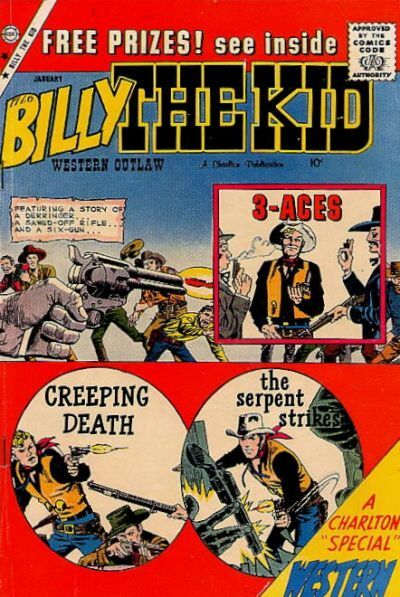 At the time Bonney was killed by Sheriff Pat Garrett at Pete Maxwell’s place at Fort Sumner, New Mexico, the nickname of “Billy, The Kid” (note the comma and capitalization used back then) had just started being applied to him. 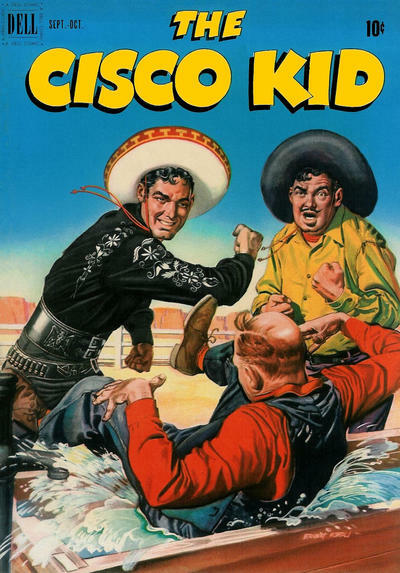 He was usually just called The Kid. 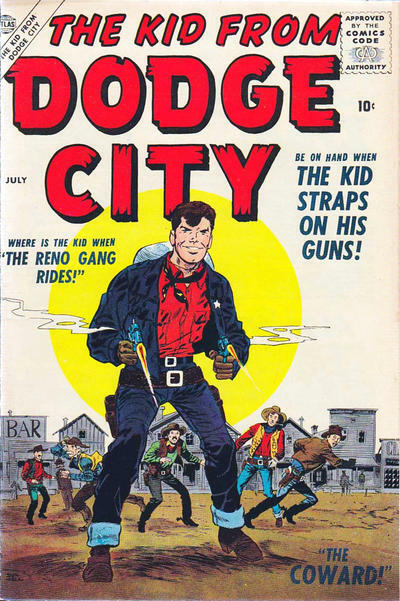 The usage of calling a young person a “kid” was known for hundreds of years prior to Bonney, but it seems to have only become common around the 1840s. 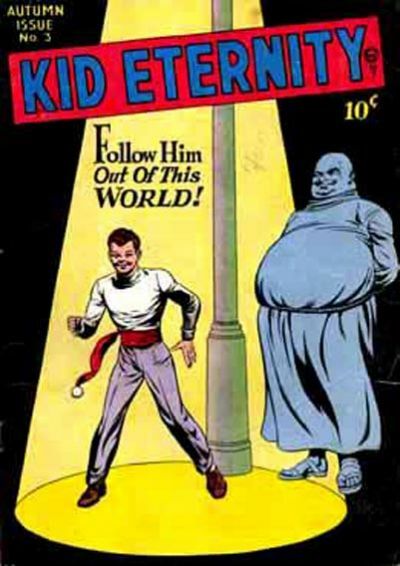 There was also a Quality Comics character named Kid Eternity. He had a particularly lame costume and his power was that a fat angel could help him summon real and fictional folks from the past to help in his adventures. 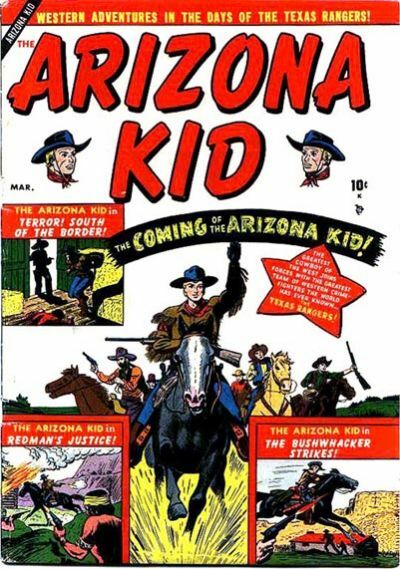 I don’t much care for Kid Eternity, though his stories usually had some great art, which was true of all the Quality Comics line. 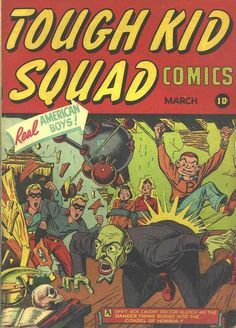 After an impressive Golden Age run with great characters like the Blackhawks, Plastic Man, the Spirit, and tons of others, their publisher, Busy Arnold, packed it up in the early 1950s. 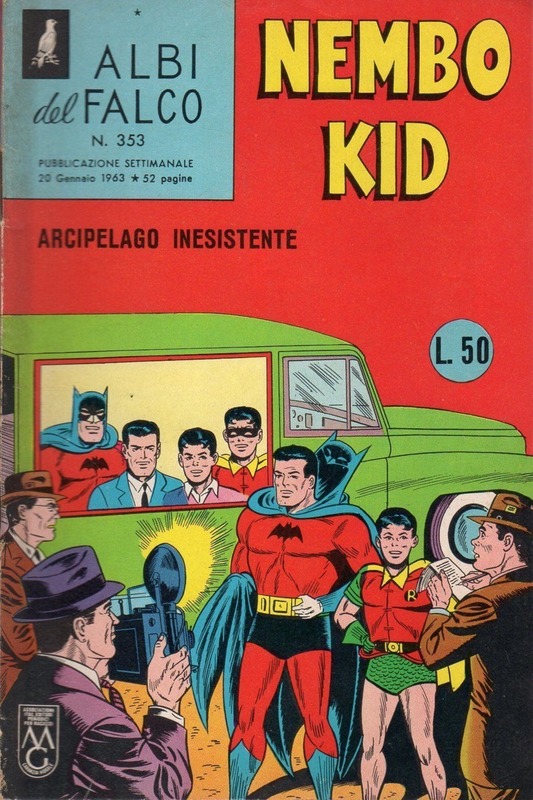 He sold his characters to DC Comics and retired to Naples, Florida. Had I known, of course, that he was living in Naples I would have looked him up!!! 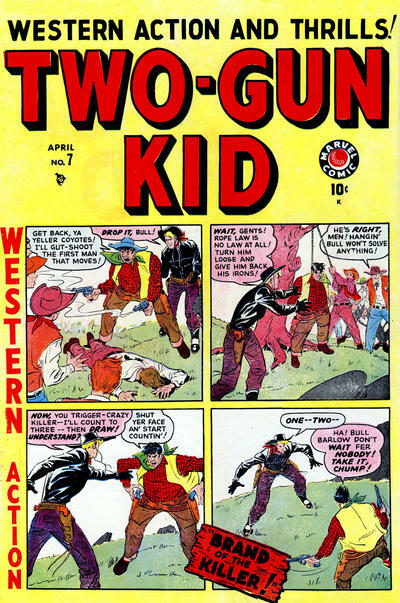 Other “Kid” characters, like Kid Flash, came and went, but the Western comic books with their army of Kids are what we’re here for today. 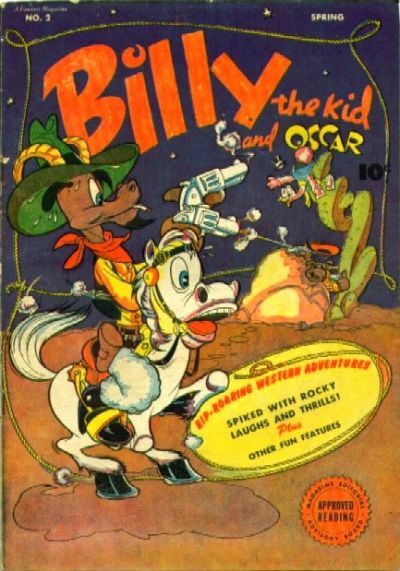 Enjoy these great covers! 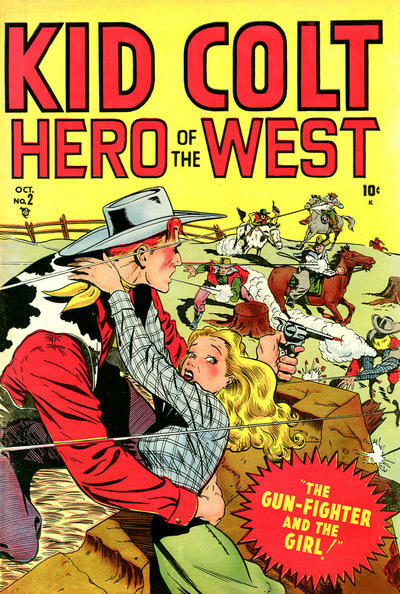 Here are some other kids from the West. Can’t believe it’s been a year since I posted to my blog. I blame myself. 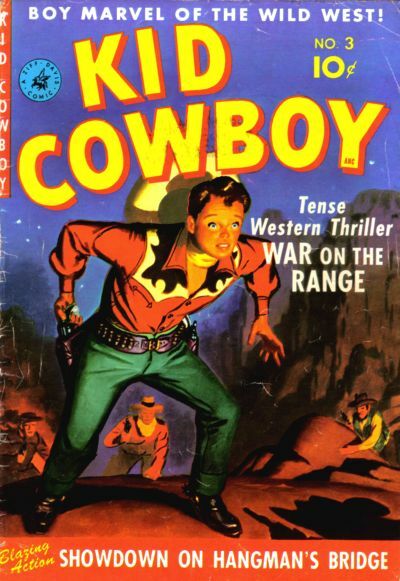 Anyway, if you keep up with the news, you’ll have heard that a third, previously unknown photo of Billy the Kid has come to light. 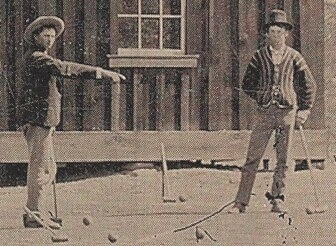 It shows him, of all things, playing croquet in 1878 with his pals at their hideout in New Mexico. It’s estimated to bring $5 million at auction, but you can see it here for free! Billy is shown on the right in this closeup of the 4″x5″ tintype. 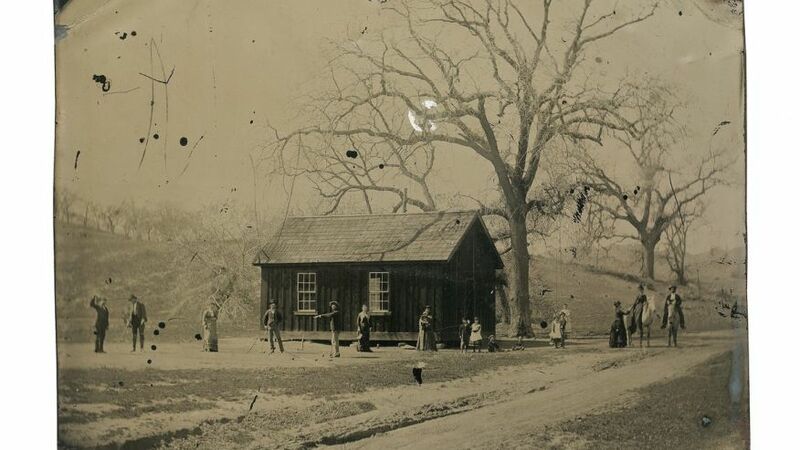 Since it’s a tintype, the left-to-right is flopped, as in the original of the photo at the top of this blog entry. I corrected the left-to-right then, but am too lazy this evening. I left my hubcap in San Francisco . . .
For those who think a gee-whiz car is one running on a massive array of nine-volt batteries, move on. There’s nothing for you here. Personally, I got over electric cars when Mom threw away my slot-car set. If they ever develop an electric passenger plane, I’ll look up to see that. But for those of us who got our driver’s licenses in the mid-1960s, this is for you. 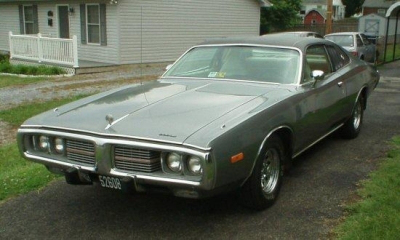 It’s also for those who weren’t lucky enough to live in the days of the American muscle car and 19-cent-a-gallon gas! You missed it, Grasshopper!!! 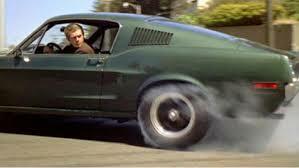 The 1968 movie Bullitt starred Steve McQueen as a rogue cop. At least, that’s what the marquee on the Naples theater said. But the real stars of the show were a dark-green ’68 Mustang GT 390 and a shiny-black Dodge Charger R/T 440. The chase is shown here in three parts. Please view them full-screen with the volume way up. I want you to hear every double-clutching sound and see it all. I’ve seen websites that show the San Francisco locations of this chase, and some of them are miles apart from what the movie shows. But it’s a movie, okay?!?!? And did this thing MOVE! Parts of this movie were a drag; I didn’t like seeing the Man from U.N.C.L.E.’s Robert Vaughan as a bad guy, for one thing. But the chase made up for it. Enjoy, my little motor-heads! We start with the prelude, and the chase begins in the second YouTube clip. Sorry about the ads before the scenes, so stop your whining. 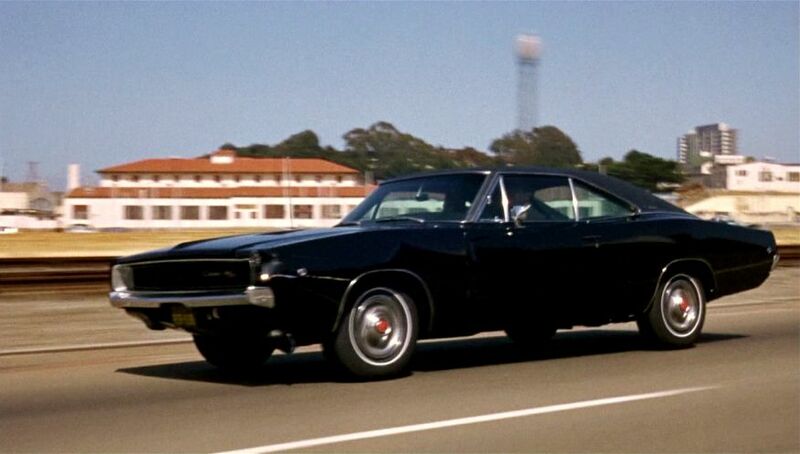 Several years after this movie, not being a Ford fan, I bought a brand-new Charger with a 440. As I’ve mentioned here before, it was a dog; a real bow-wow. So it goes. I wasn’t in San Francisco anyway. BONUS! In 2006, Ford created a wonderful Mustang commercial, riffing off Field of Dreams, starring Steve McQueen, who had died in 1980. McQueen’s wearing what he wore in the Bullet chase and it’s just a brilliant ad. 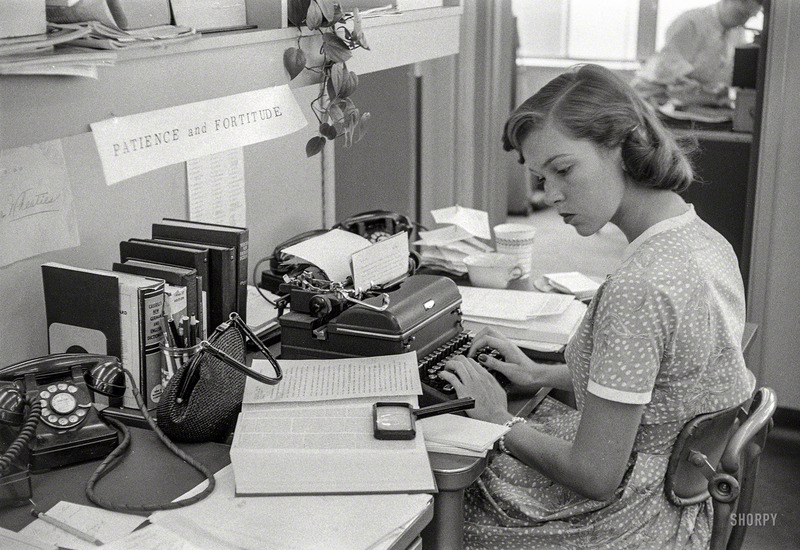 From our friends at Shorpy.com comes this fascinating image of a young woman working in the big city in 1956. Notice the book under her manuscript and the hand-held magnifier next to it. I suspect the book in the photo above is a variant of the Compact Oxford English dictionary. The one I have is from the 1970s and the pages are set up a little differently. The magnifier that came with my COED is the same as in the Shorpy.com photo. 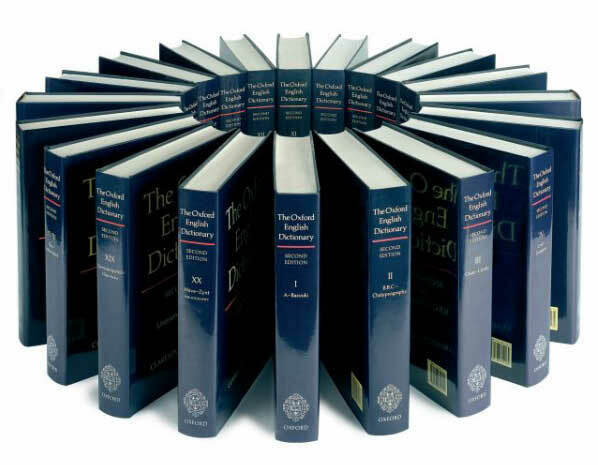 Because the full OED is 20 volumes, the compact editions are composed of multiple pages reduced so that several pages fit onto a single page, if you follow me. That makes the looking glass essential to reading the entries. Even with the pages crammed in so tiny, my COED is still a bulky two volumes. Here’s a photo from the Web showing a modern-day COED. 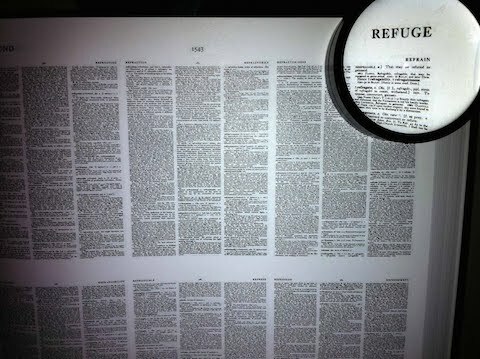 The looking glass or magnifier provided with the books nowadays seems to be a nifty round one with no handle. An amazing resource for us word nerds. My favorite dictionary for just reading—and you know you’ve got it bad when you collect and, yes, read old dictionaries—is my hardback facsimile of Noah Webster’s first American dictionary, as published in 1828. 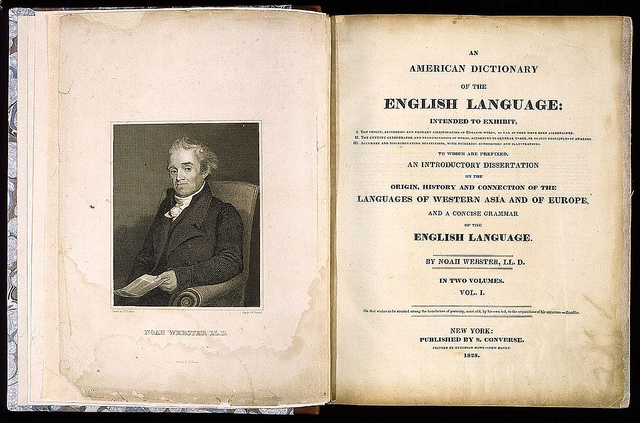 It’s fun to see how our language has changed since Webster’s day. The Quest: A journal that likes fountain pens! It’s that time of year again, when I search for an office journal that is fountain-pen friendly! As the photo below shows, bleed-through is an annoying problem, as I use both sides of the paper and I also write with medium, wet-writing nibs (usually Sheaffer or Parkers). So please wish me luck on this important quest. My current office journal is nice, but the bleed-through drives me nuts (please; no remarks about what a short little drive that is). 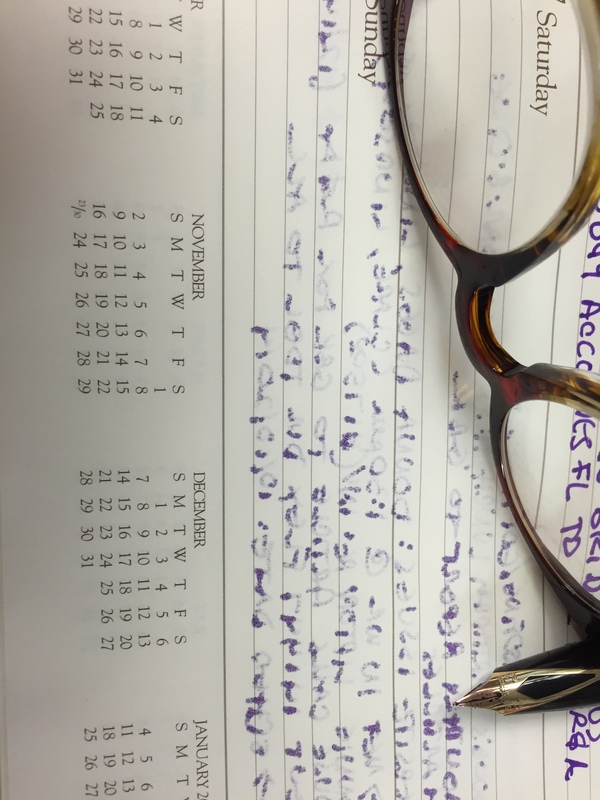 The notebook I’m currently using is a Gallery Leather Desk Planner 9-1/2″ x 7-1/4″ journal. It has detailed color maps of the world, important toll-free number and website info, and is printed on a pretty cream-colored smooth paper. The leather cover is thin and bendable, which I like, and the pages are gilt-edged, which adds a classy touch. But the bleed-through is a deal-breaker for me. Since I’ll be paying for my journal myself–no freebies at this blog–I won’t be reporting on a wide sample, but you’ll learn how my search progresses. Isn’t this exciting?!?!??! After exhaustive research—and I’m not kidding you—I opted for the Black n’ Red Executive Notebook, which is an 11-3/4″ x 8-1/2″ linen-lined hardcover journal with 192 gray-lined pages, 33 lines per page. These have sewn bindings and the pages show—at least with a Mont Blanc fine nib and my favorite Levenger amethyst ink—absolutely no bleed through in the little test I did on a back page. I won’t be using these—I got a couple from Amazon at about $15 a pop—until the new year rolls around, but I have high hopes! These also have color geographic and Metro maps, which are neat if not vital to the mission. They look understated, stylish, and businesslike, and there’s a little red ribbon for keeping track of what day you’re on. I’ll keep updating this blog entry as time goes on so keep an eye out for updates!